The province of Ifugao is best known for its rice terraces, which can be found in almost all the municipalities of the province. Considered one of the eight wonders of the world, the famed terraces are a marvelous engineering feat achieved by the ancients to maximize use of the land for food production. But before my posts on these famed rice terraces, let me just feature here five municipalities in Ifugao that I have passed going to my target destination. 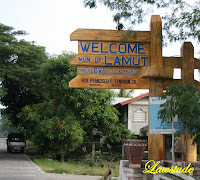 Lamut is the first municipality that I have passed just right after Bagabag, Nueva Vizcaya. It is where the Ifugao State University is located. Other the occasional scenic mountain by the roadside, there is really nothing much to see here. 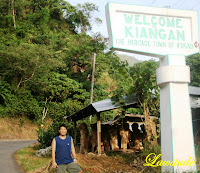 Kiangan is dubbed The Heritage Town of Ifugao. Believed to be the first human settlement in Ifugao, it is where Ifugao and American troops helped force General Yamashita to make his informal surrender in World War II. Sights to see here include the War Memorial Shrine, Million Dollar Hill, Nagacadan and Julungan Terraces and Pangaggawan Cave. 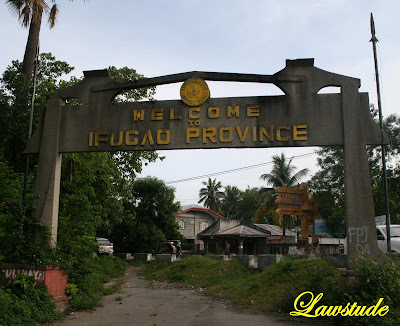 Lagawe is the capital of Ifugao and basically the province' commercial center. A nice, laid back town with lush trees and gardens by the roadside and magnificent view of the montains as a backdrop to the smooth concrete road. A small rice terraces in these mountains serve as a hint of greater views to come. 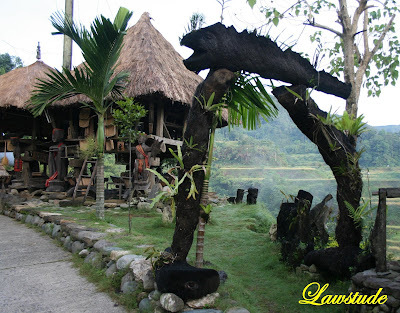 Hingyon is another laid-back town sanwiched between Lagawe and Banaue. It's main attraction is the Hingyon View Point where you can have a glimpse of the rice terraces. 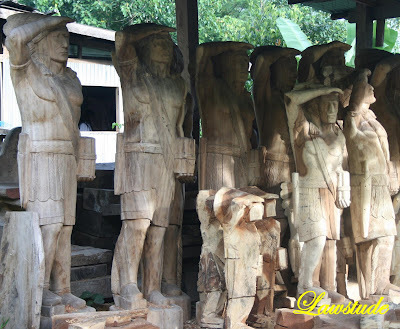 It even have several Ifugao huts by the roadside manned by the bulol or sacred wooden statues magnificently carved by the natives of Ifugao. And of course, the pitstop of the trip is Banaue. 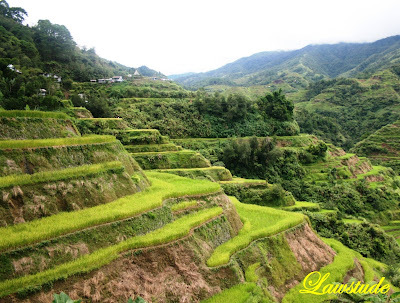 Banaue is famous for its mud-walled rice terraces which is listed as World Heritage. These rice terraces are impressive not only for their chiseled beauty but because they were created around two thousand years ago. This is just a prelude, more posts on Ifugao's famous terraces soon. You make me drool. Kelan pa kaya ako makakabisita sa lugar na to. very good trip, the terraces position is spectacular, impressive image. Whoa. Ifugao. I have never been there. The last photo is great. ang ganda naman ng pichurs parang ang lamig ng pakiramdam ko lalo na nun nakita ko ang mga bundok at mga ulap... sana ganon lang kagaan ang life. this is my dream place to visit! until now andito pa yung rice terraces postcard na binili ko..
Gad! I really miss this place. 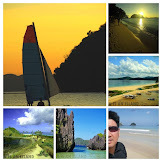 I haven't been to the cordilleras and ifugao area for years. Looking forward to your posts here lawstude. Wow ! another spectacular picture again. Siguro pag ako ang nandyan ,makalimutan ko lahat ang problema at mga masasamang nangyayari dito sa mundo na kinkatakotan ko for the next generation. 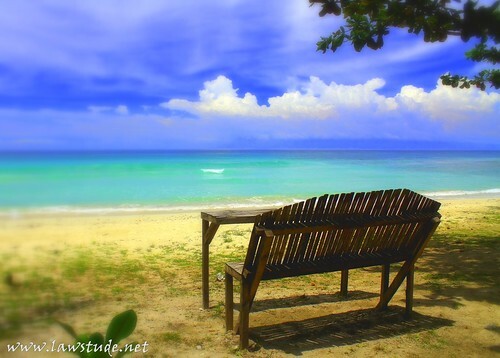 Parang napaka-pure na place. I love your photos. You showed that there's more in Ifugao aside from the rice terraces. lawstude, kakatuwa naman. sa benguet area kasi next stop ko. kaya nagulat ako na medyo magkalapit yung mga coming post ko. pero hindi naman ako aabot dyan sa ifugao. dito lang ako sa baba. ganda ng last shot mo ng terraces. to my shame, i have yet to visit this national heritage. sana magkaroon ng pagkakataon very soon. @ abaniko - i have been to ifugao once but that was about almost two decades ago and i have really no recollection of the place whatsoever. so when the opportunity knocked, i readily packed my bags and go. @ daniel j santos - there will be more photos similar to the last one in my upcoming posts. @ vinzent - thanks bro. the last photo is a portion of banaue rice terraces which is just one of the five UNESCO named heritage site in ifugao. @ tentay - sana nga ganyan lang kagaan ang buhay pero sa totoo lang, this trip has gotta be one of the most tiring trips i had in a long time. @ bernard n. shull - pharmacy what??? 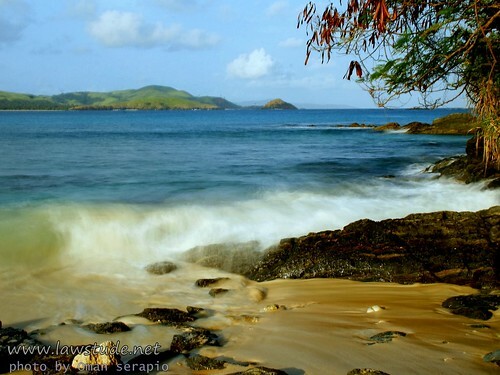 @ dakilang islander - the place has been in the news lately because of the planned privatization of the place. you should check the place out when you go back home. @ ferdz - the last time i have been there was two decades ago so it relly is fitting return. @ nanaybelen - totoo po. mababa ang crime rate dito. medyo naging sensationalize lang sila because of the julia campbell incident. pero generally, the people are friendly and always smiling. @ kegler747 - that's true carlo. 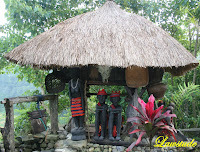 although ifugao is almost synanymous to rice terraces, one equally important aspect of the place is its culture. @ the dong - maganda jan sa benguet lalo na sa baguio at la trinidad. nalibot ko na halos lahat ng lugar jan sa baguio because i usually work there every first quarter of the year. @ tazeen - thank u very much. 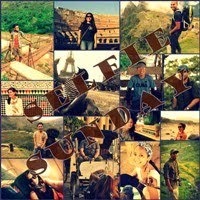 @ r-yo - you should check the place out panyero and ako na lang kunin mo guide. wow ang swerte. nung pumunta kaming banaue from sagada, punong puno sya ng fog. wala kaming makita. di naman kami nakatira ng rugby that time pero tsong heaven ang pakiramdam namin sa kapal ng fogs. hehe. maybe i should go back there once more. Dumpfounded ako. tagal bago ako nakapag-comment. Ganda talaga ng pilipinas! Sa taong 2008, sa post lang na to kita nakita sa mga pics dito. 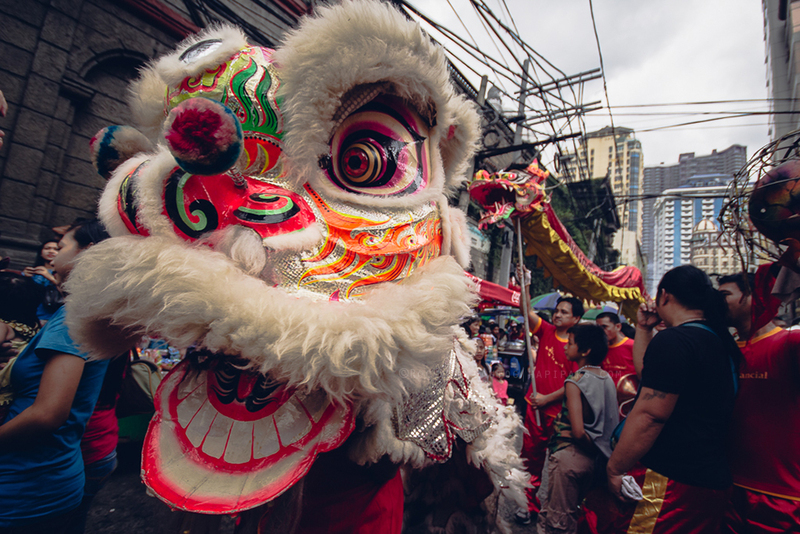 I happened to browse your previous post at dun may nakita akong ilang pictures mo sa trip last year). Ganda noong mountain na mataas sa ulap. nakaka-amaze kapag nakikita ako ng fog o ulap na mababa sa bukid. pNa-excite ako nang mabasa ko ang "welcome to banaue". great job , great journey lawstude! bakit walang shots nung falls? hmn, been there twice.I wish I could go back again...and sana mapuntahan ko din ung falls...wait, pumunta ka ba sa banaue hotel? they have a pool there at the back..super sarap magswimming parang ur super close to Heaven. Hayyy. Nainggit na naman ako. Gusto ko rin magpunta sa rice terraces. Kaenes na to puro lakwatsa hahaha. argh!!! di ko pa narating yan.. since childhood gusto ko ng makita yan. hopefully next year. 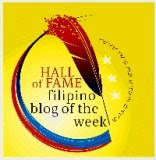 wow, thanks for bringing us here through your blog! loved the pictures of rice terraces... something very new to me... in our place it is rubber thats cultivated in the hilly areas, and rice is always grown in the planes...! here comes the post that i've been waiting for. mas ok pics mo kuya kesa sa mga nakita ko sa mga libro nun. hehe. Very lovely photos and information. Your country is big and you can travelled to many places within your country. I need to travel to another country to enjoy such views. di pa ko nakakapunta dyan, sana may magyaya! lol! @ the islander - hahaha ayos ah. tumitira ka pala ng rugby. sayang talaga kung puro fog kasi isa yun sa pinakamagandang view sa Pinas. @ redlan - thnx bro. iba talaga yung banaue. kasi its a different culture at talaga naman ma-aamaze ka sa rice terraces. @ anonymous - i'll feature falls in my coming posts. thnx for the visit. @ vanessa - di dapat maiingit. just pack your bags and go. life is short hehehe. @ rio - salamat doc. 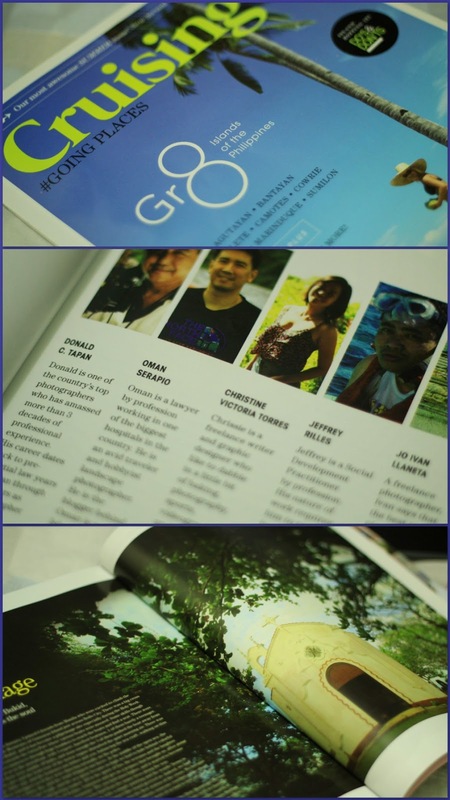 @ kris jasper van dyke - cge, next year ako kunin mo tourist guide. @ iriz - sure. thanks for dropping by. 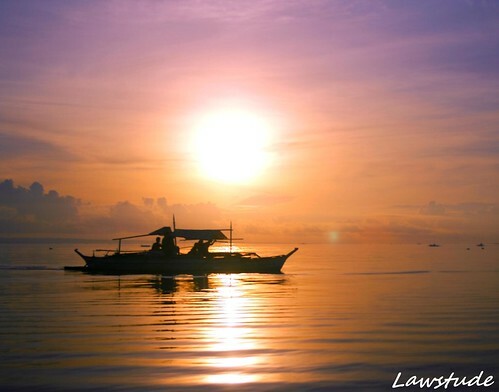 @ luna miranda - our pride and joy indeed. @ shades - in other areas in my country, rice is grown in the plains. 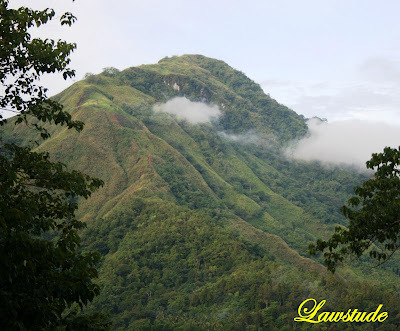 it is only in ifugao that rice is cultivated in the mountains. @ beero - uy salamat naman, pwede na palang pang-libro pics ko. i appreciate it. @ alicesg - you can travel to my country anytime. just check with me if the places you plan to go to is safe. @ selerines - thanks. i'll try my best to accomodate your request. @ coldman - nagpapahinga naman ako sa biyahe eh lols. I hope this section is actually the correct page to write this... I simply hoped to let anybody across the forum who resides in Oz know about a super high end audio visual equipment internet site which is called Ordio. I found them somewhat by mistake when I was shopping for [url=http://www.ordio.com.au]Tvs[/url] and it just so happened that these blokes had the cheapest prices around. Not only that but they are genuinely informative and even followed up on my purchase to confirm that I was still satisfied. They actually buy out big inventories of electronics so that they can honestly break the price down. Most certainly visit their site if you're in the market for some home electronics.